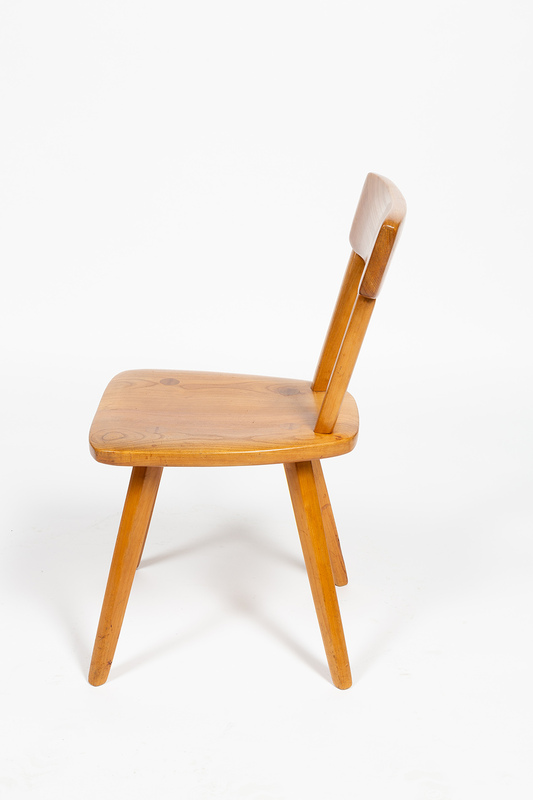 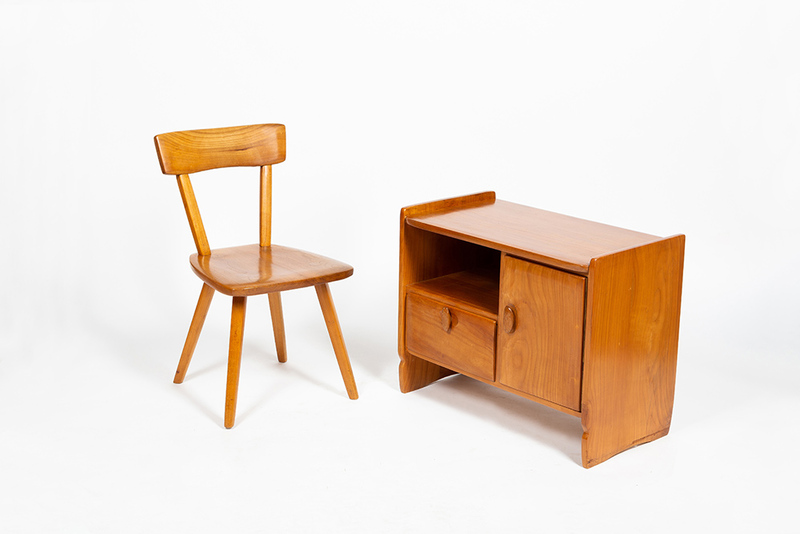 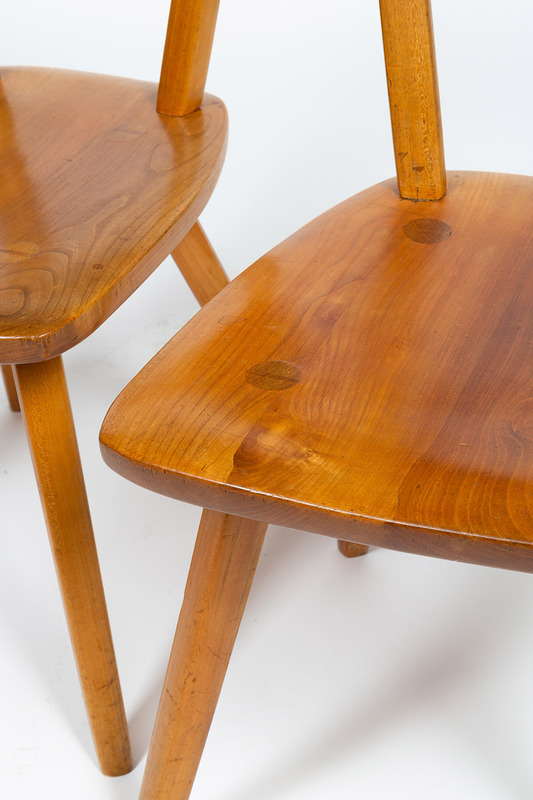 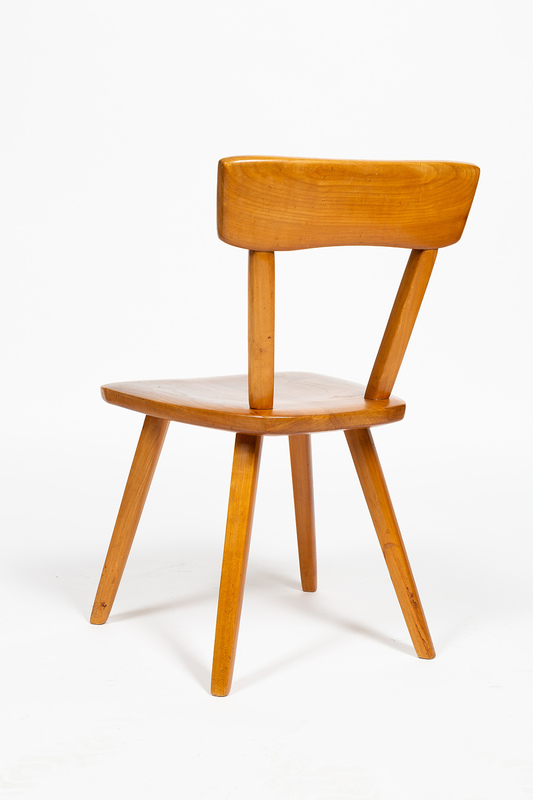 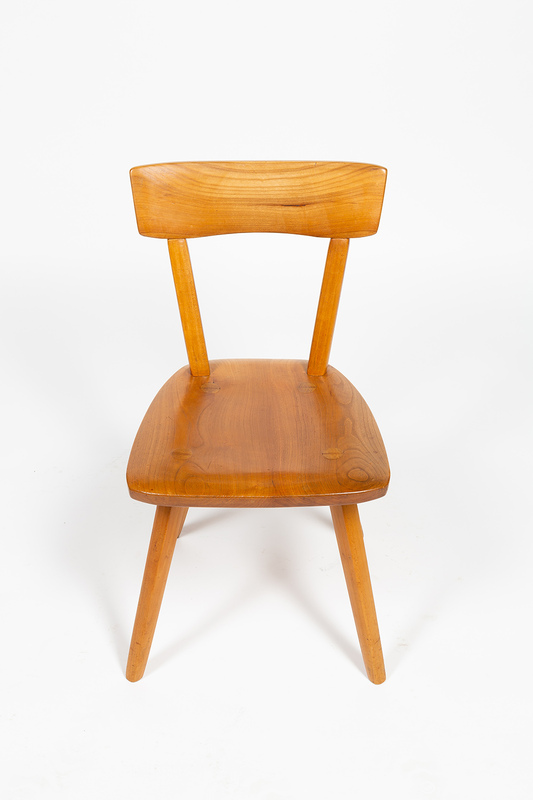 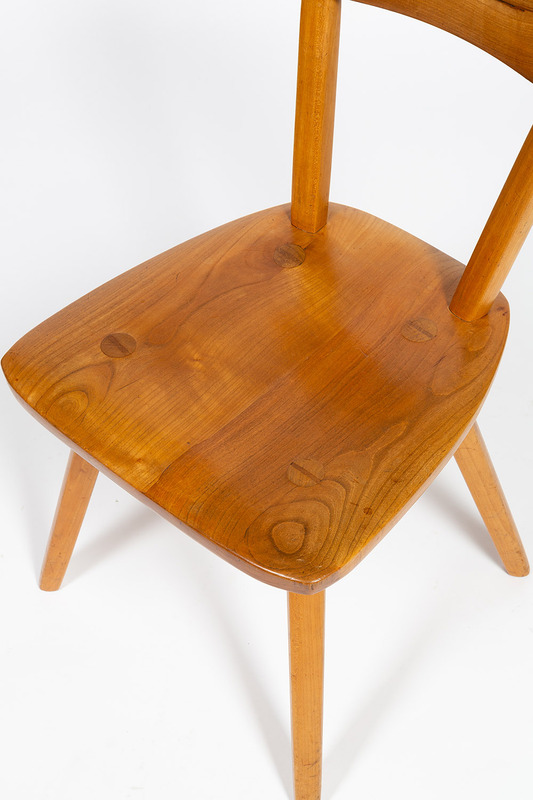 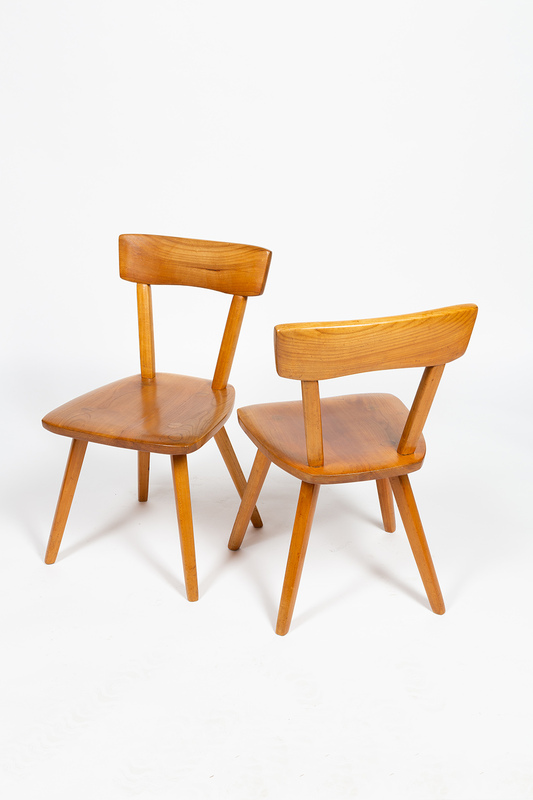 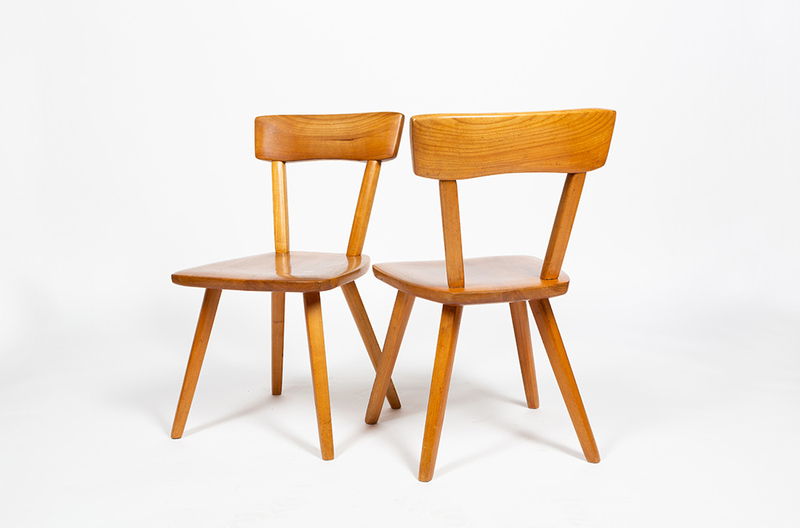 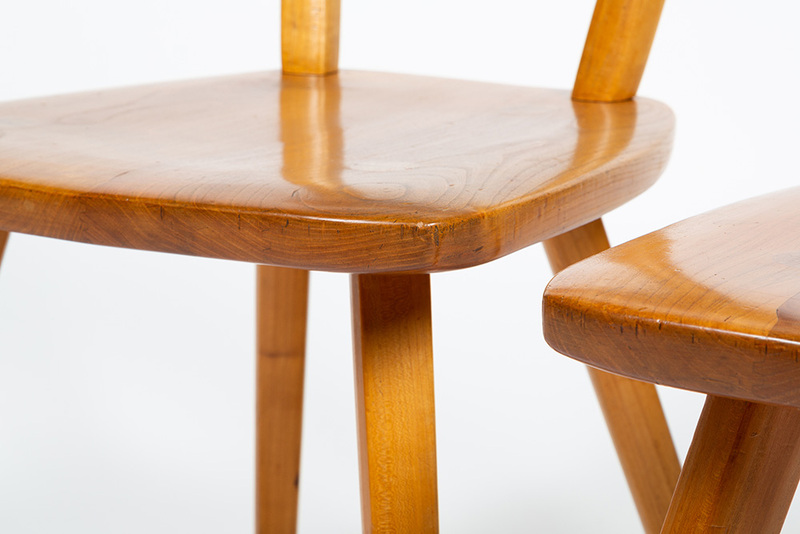 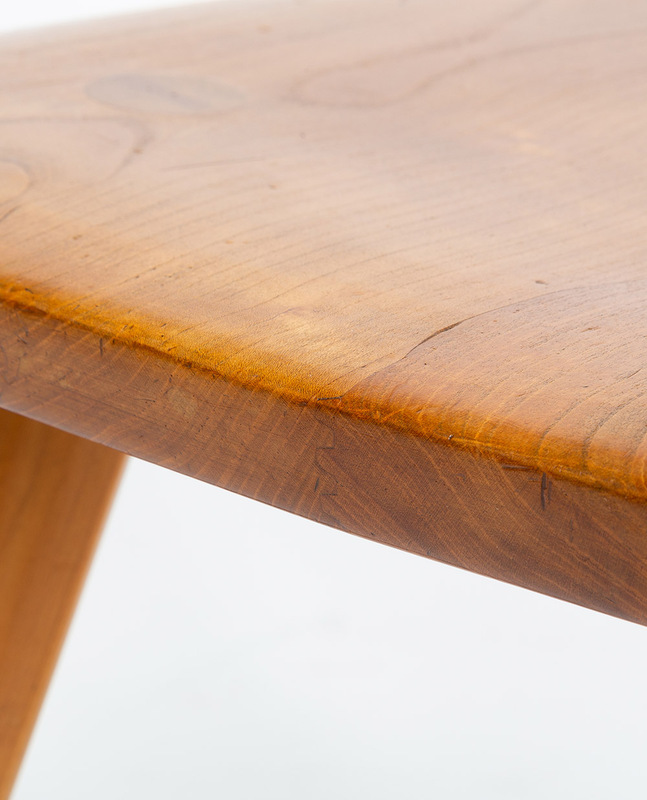 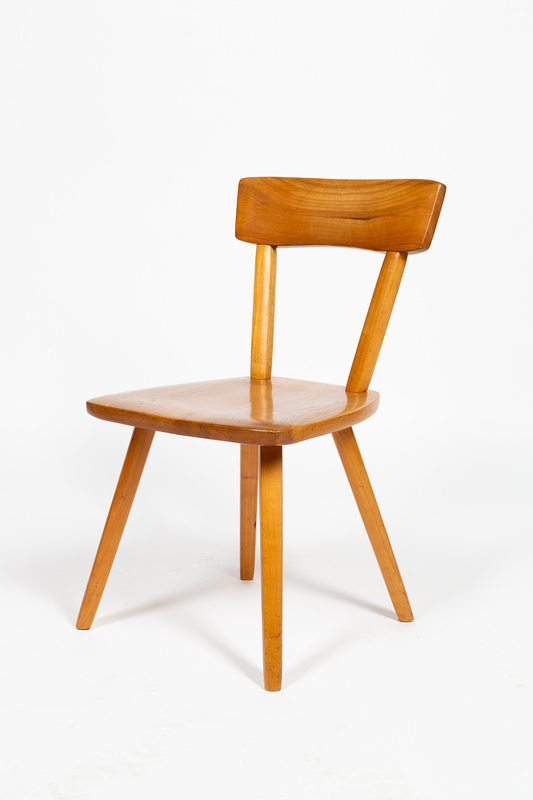 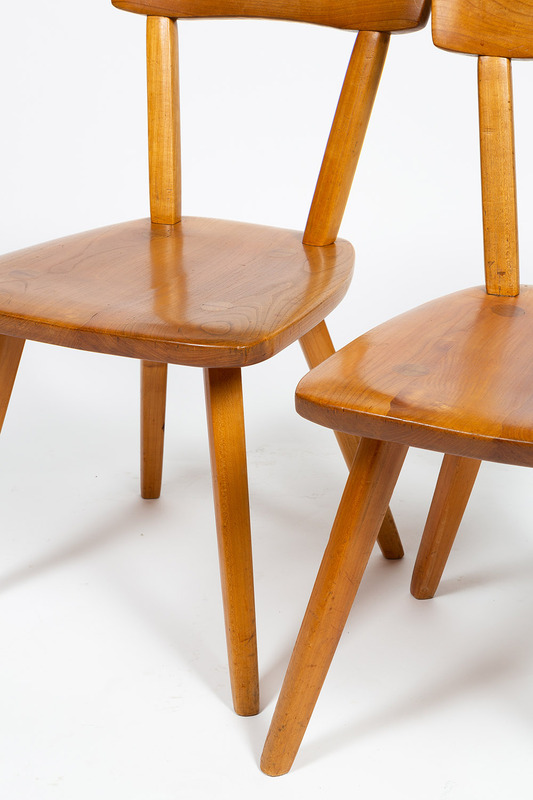 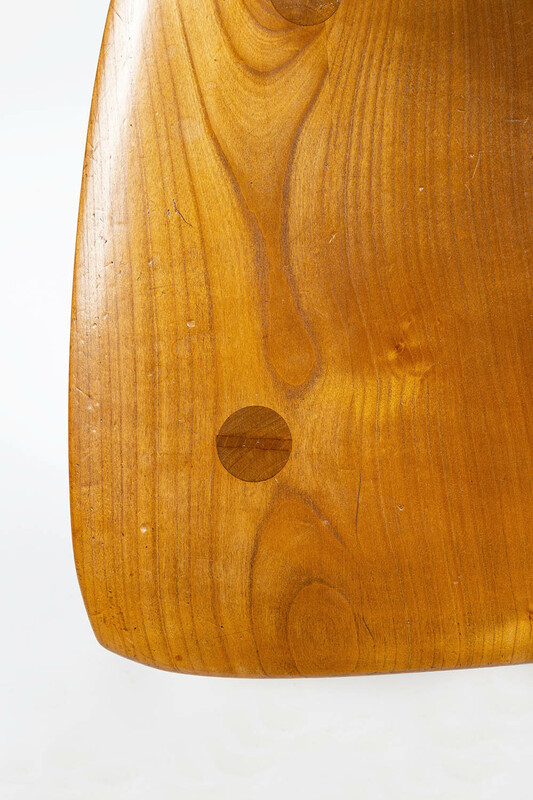 Pair of solid cherry chairs designed and built by Jacob Müller in the fifties. 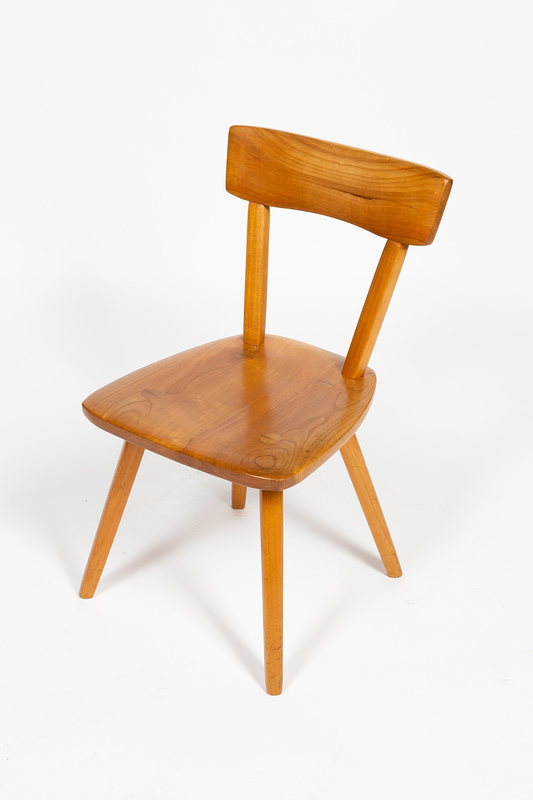 Provenance of the Müller family (only 3 chairs were built). 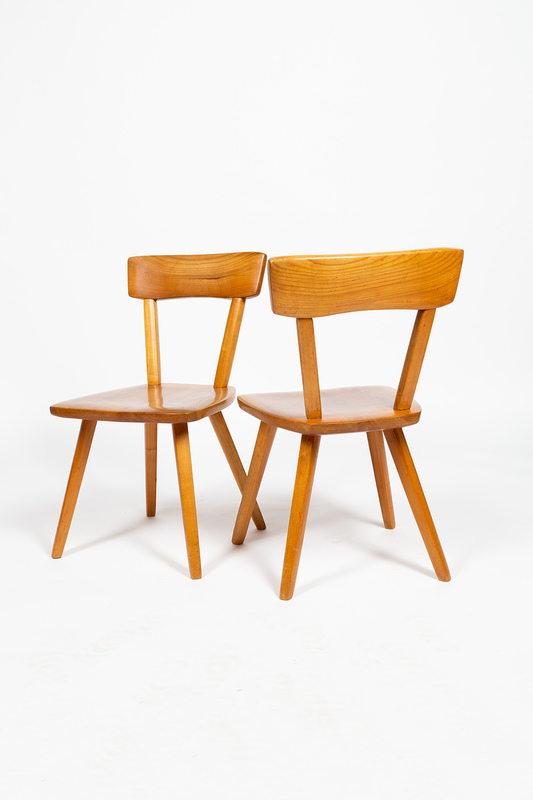 Good original condition with signs of use.